There has been much discussion about the economics of historic preservation: it has shown to create jobs, increase tourism, and be a sustainable tool for redevelopment. Another benefit of preserving structures is their ability to attract location scouts for film productions. During October film crews were in town for the filming of “Chasing Shakespeare,” an independent film currently in production (using various locations in Texas). 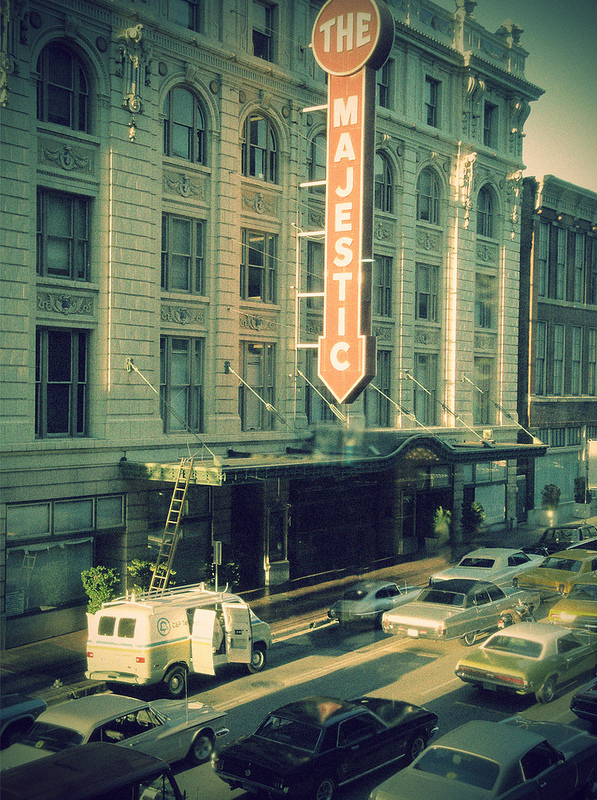 Majestic Theatre dressed up for film.